You will need to put in a ticket with Support Central (email support@oc.edu or call ext. 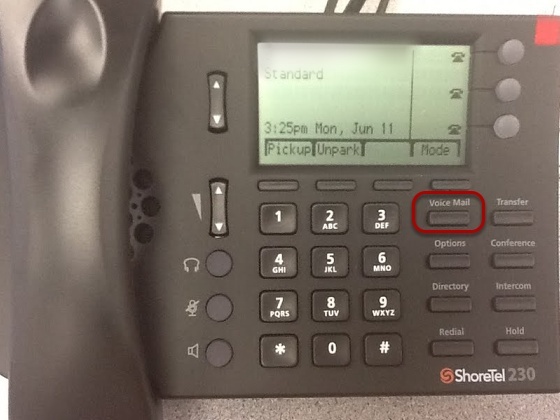 5555) to have you voicemail box passcode reset. You will be notified with the new passcode that you should change. After you have received your new passcode, follow the instructions below to reset your password. From off campus, dial 405-425-5600 and enter your extenstion # when prompted. Enter the default temporary password of 3456, and then press #. 1. Enter the new password. 3. Repeat to confirm password.